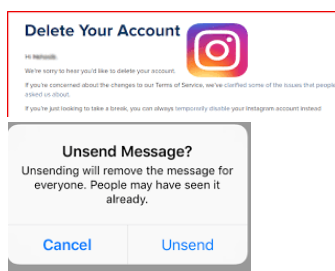 How do Delete Instagram account & (DM) Direct Message on Instagram? How do delete a (DM) direct message on Instagram? Download Instagram app for Android, and iPhone and login from the app. You can’t achieve this on PC. 2. Click on the name of Instagram account owner you’d love to delete direct messages from his or her inbox. 3. Press and hold the message you want to delete and click on unsend message. 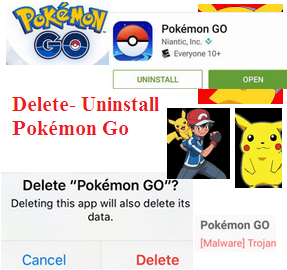 The message will be deleted from your Instagram box and also from the receivers box. If you'd like to delete a different account, click the username in the top-right of the Delete Your Accountpage, tap/click on next to username and select Log Out. Log back in as the account you want to delete and follow the directions above.